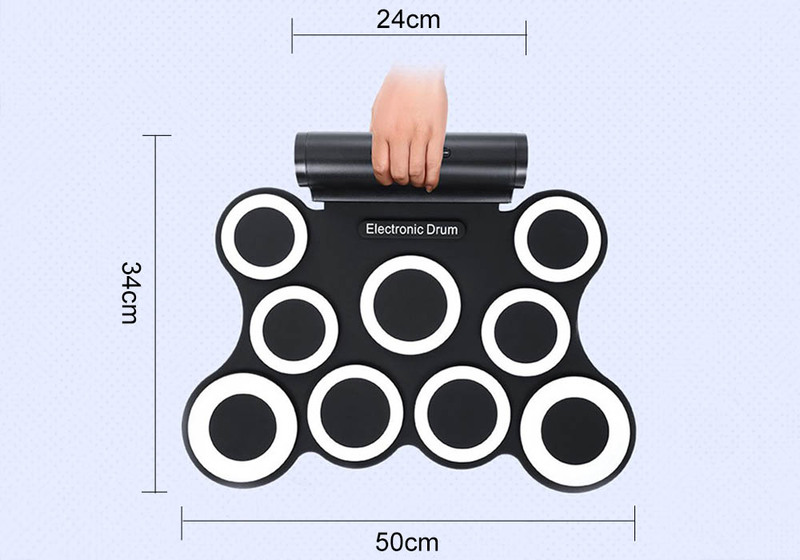 • Equipped with a pair of drum rods, 2 support pedals, 1 USB cable and 3. 5mm audio cable. • Memory function follows players habit to swap traps and high hat position. • With MP3 input for connecting MP3, smart phone or tablet to playing accompanying music. This is a nice drum kit, its good for kids, i bought it for my kid. It has lot of demo tracks to practice on, the foot pedal with it was also nice. Overall good Toy for Kids.